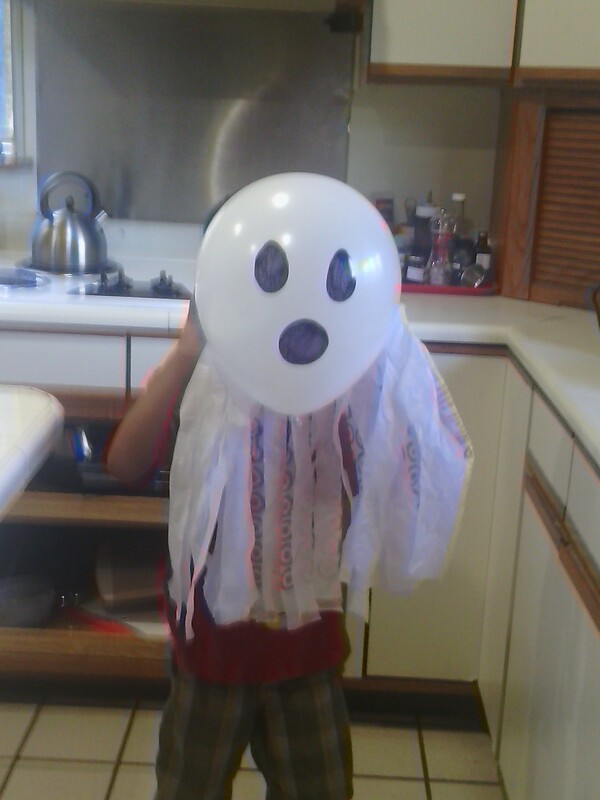 Here is a simple ghost that is easily made out of a balloon. Doesn’t take much time to do and if you hang them up from your ceiling it will look really neat. Blow up your balloon as much as you can and tie it. Leave the seam intact cutting from the open side of the bag into little strips, about 1″ wide. Tape the bag from the seam end all the way across the balloon. Using a black marker or sharpie draw 2 eyes and a mouth. If you want to hang it up from the ceiling simply tape a string to the top of the balloon.